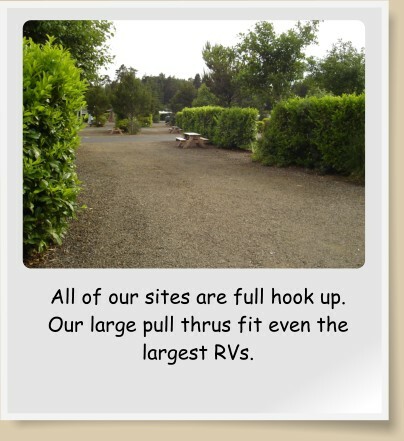 Woahink Lake RV Resort Rates are for full hook up site includes 2 people, water, electric, sewer, TV, WIFI, and picnic table Good Sam/AAA discounted rates Daily $43.92 Weekly $263.52 Regular Rates Daily $48.80 Weekly $292.77 Extra person- $2 each per day ATVs- $2 each per day Park Model $142.74 Extra person- $10 each per day Cabin $60.39 Extra person- $5 each per day Cabin Includes double bed with single bunk, table, sink, microwave, mini fridge, TV. Restrooms and showers available at the office. No Pets/No Smoking. 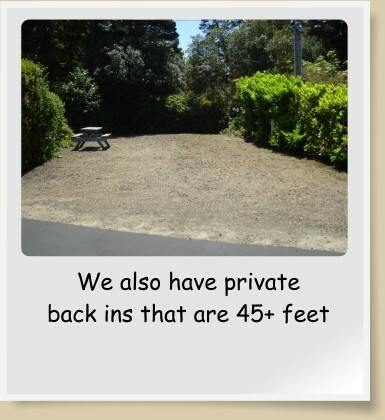 We are sorry that we cannot accommodate tents. Tent trailers and hybrids are allowed.